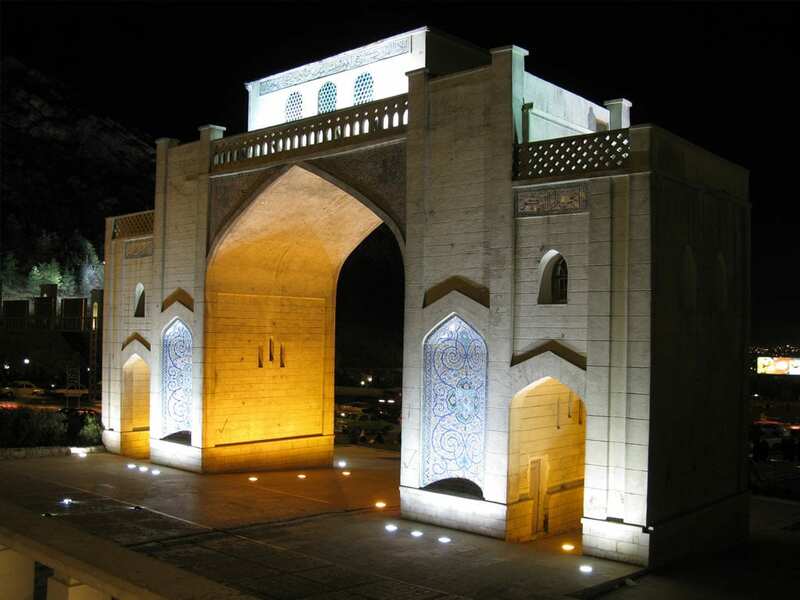 Qur'an Gate is a historic gate in the north of Shiraz, Iran. 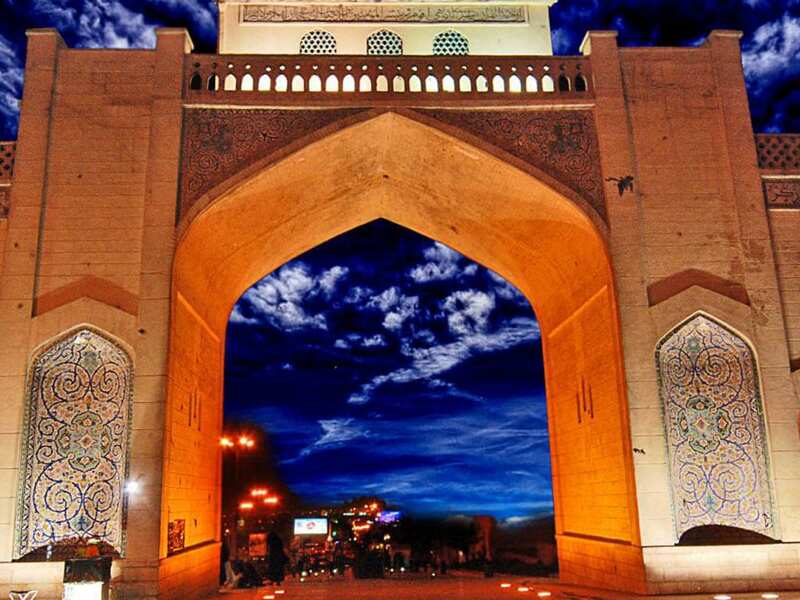 The Gate was first built during the reign of ‘Adud ad-Dawla. By the time of the Zand dynasty, it had sustained a lot of damage, so it was restored and a small room on top was added, in which were kept hand-written Qur’āns by Sultan Ibrahim Bin Shahrukh Gurekani. The two Qur’āns are known as Hifdah-Man. Travelers passing underneath the gates were believed to receive the blessing of the Holy Book as they began their trip or journey from Shiraz. During the Qajar dynasty, the gate was damaged by multiple earthquakes; it was later restored by Mohammad Zaki Khan Nouri. In 1937 the two Qur’āns were taken from the gate and were taken to the Pars Museum in Shiraz, where they remain today. 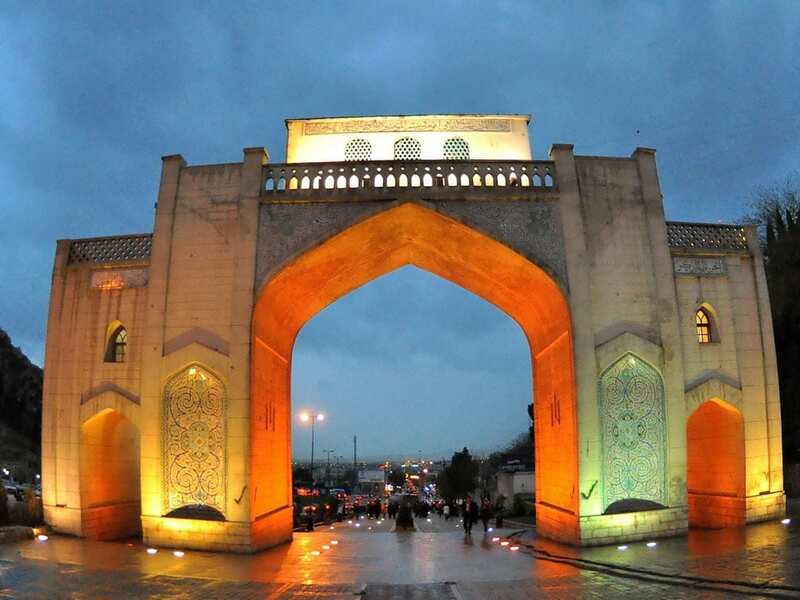 In 1949 the arch of the gate was restored by Hossein Igar (Based on Wikipedia). 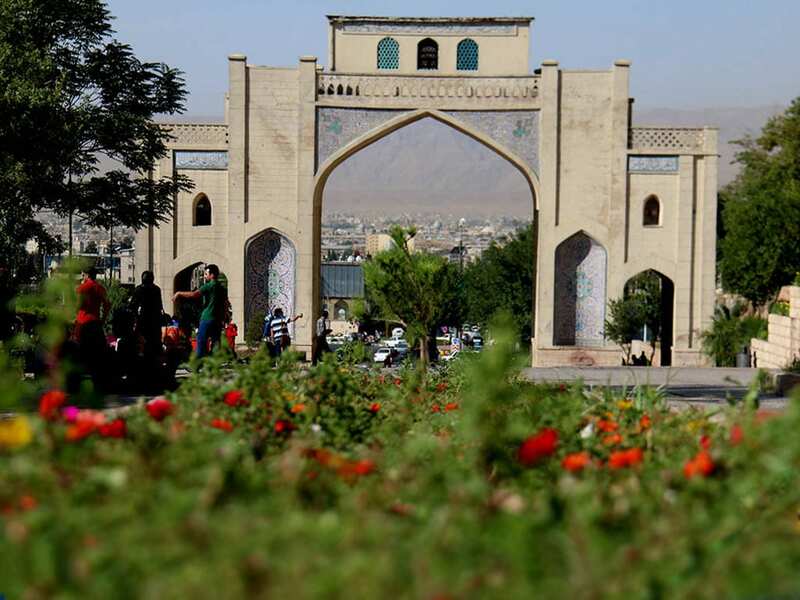 Qur'an gate is a historical monument in Shiraz. The name is chosen , cause the Qur'an book ( Muslims Holy Book) on top of the gate. In Iranian culture, walking behind Qur'an, when you are going to go to travel , cause bring auspicious moments through the journey. Thus, they had installed the holy book to cause lucky things. 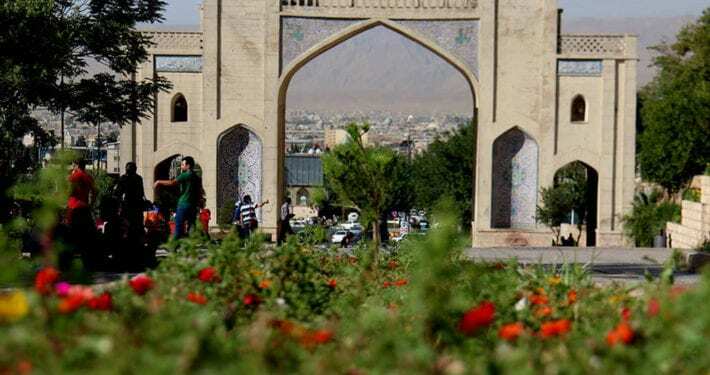 The beside of this gate is a highway to Isfahan and Tehran cities, nowadays; but there were Allahu Akbar valley about 50 years ago. Kkajou Kermani tomb is on top of this site and let's take a look, it has fantastic scene, also. 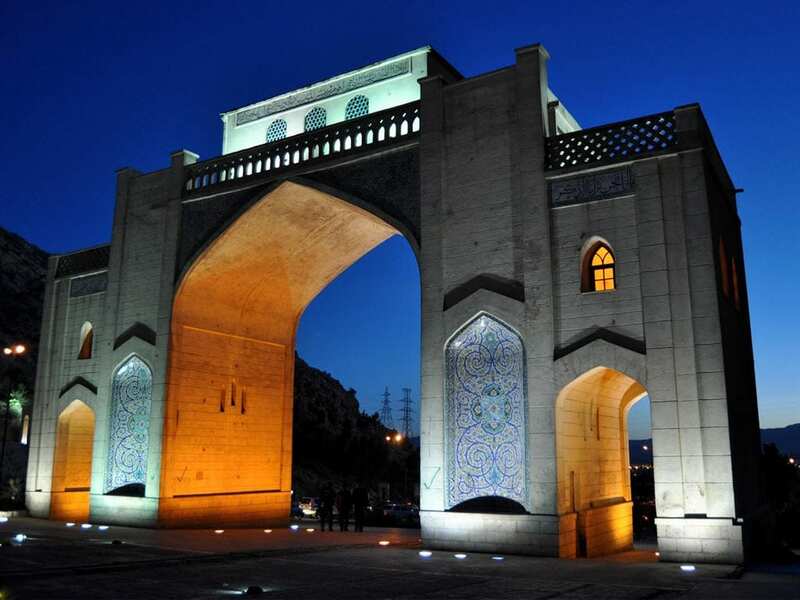 Quran Gate is a historical gate located in northeastern entrance of the city of Shiraz in the canyon of Allah-o Akbar between Chehel Maqam Mountain and Baba-Koohi Mountain located at the exit of Shiraz towards the city of Marvdasht.